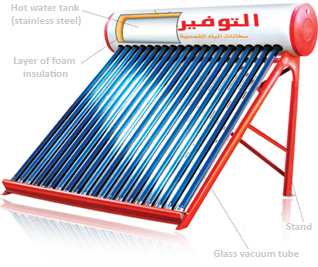 Each evacuated tube is composed of two concentric glass tubes; the inner one is coated with highly selective layer and it converts solar radiation into thermal energy. As for the outer one, it is used as a cover to keep the vacuum. Both tubes are fused together and the gap between them is evacuated to achieve excellent thermal vacuum insulation. 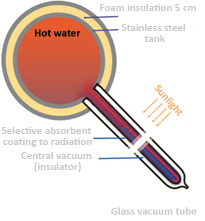 Vacuum (evacuated) tubes works like a thermos flask, which uses vacuum to provide thermal insulation. 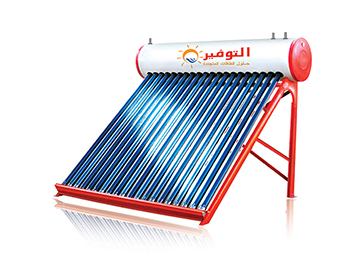 Once the evacuated tube absorbs the radiation -of the sun and converts it to heat - the vacuum helps maintain temperature. 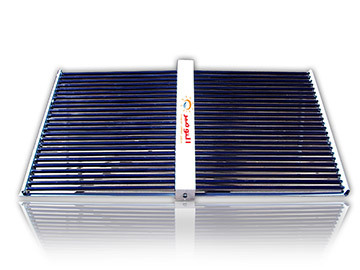 The vacuum insulation makes evacuated tube collectors outpace the traditional flat plate collectors in performance.